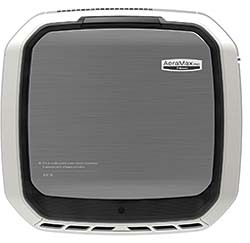 AeraMax PRO automatically adjusts unit settings based on the changing conditions within the room. Units have a vandal-resistant design, including locked access panel, concealed mounting screws, reinforced ABS plastic housing, and commercial grade components. Units are hard-wired, and wall-mounted.